Nanomaterials for the control of bacterial blight disease in pomegranate: quo vadis? Bacterial blight, caused by Xanthomonas axonopodis pv. punicae, Xap is a serious threat to commercially successful pomegranate (Punica granatum L) crop. Owing to the non-availability of disease-resistant varieties of pomegranate, integrated disease management involving change of season, adequate nutrition, and preventive sprays of bactericides is used to control Xap. We undertook a systematic study to assess the efficacy of metal-based nanomaterials (Cu, CuO, ZnO, CaO, MgO) for the control of Xap. The antimicrobial effectiveness was in the order Cu > ZnO > MgO > CuO with MIC (minimum inhibitory concentration) 2.5, 20, 190, 200, and 1600 μg/ml. A time-to-kill curve indicated that Cu nanoparticles (CuNPs) killed Xap cells within 30 min at 2.5 μg/ml. Under controlled conditions (polyhouse), foliar application of CuNPs (400 μg/ml) resulted in ~ 90 and ~ 15% disease reduction in 6-month-old infected plants at early (disease severity 10%) and established (disease severity 40%) stages of infection, respectively. In a subsequent field study on severely infected 7-year-old plants, applications of nanoparticles reduced the disease incidence by ~ 20% as compared to untreated control. Microscopic observations revealed that CuNPs reduced the bacterial colonization of the leaf surface. Anti-Xap activity of foliar applied CuNPs was on par with conventionally used copper oxychloride (3000 μg/ml) albeit at 8-fold reduced copper concentration. Thus, early disease detection and application of effective dosage of copper nanoparticles can indeed help the farmer in achieving rapid infection control. 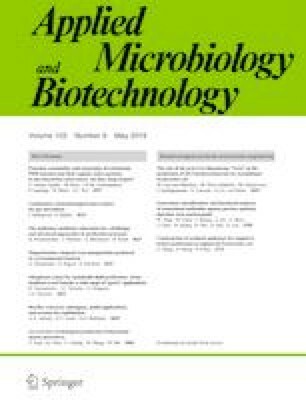 Further studies on use of combinations of nanoparticles for management of bacterial blight are warranted. RGC is thankful to UGC, New Delhi for awarding the research fellowship.